As the Crossroads of the Pacific, Hawaii played a vital role in the development of both commercial and military air travel. 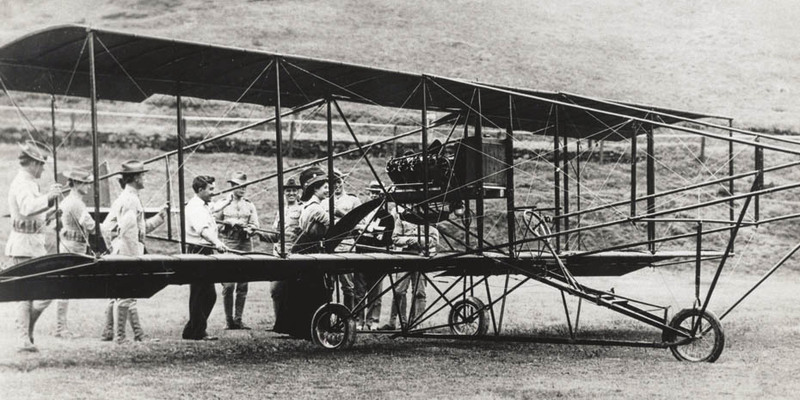 The first flight in Hawaii occurred on December 31, 1910. It captured the imagination and hearts of residents who dreamed of traveling by air between islands and the Mainland, Asia and Australia. On this site you’ll find the incredible story of the first trans-Pacific flight by Navy Commander John Rodgers in 1925. Inter-Island Airways made its first commercial inter-island flight in 1929, and Pan American Airways entered the trans-Pacific market in 1935. You’ll find numerous historical documents, and information about the book, Above the Pacific, written by the late Lieutenant Colonel William Joseph Horvat and originally published in 1966. This website features more than 4,000 photos from the collections of the Hawaii Department of Transportation, Hawaii State Archives, Hickam Air Force Base, the U.S. Army Museum of Hawaii, the U. S. Naval History Center, Marine Corp Base Hawaii and private collections. We welcome additions to our collection.